Every day, Watch This offers staff recommendations inspired by a new movie coming out that week. This week: The biopics American Sniper and Unbroken have us thinking back on other true stories about soldiers. Tom Cruise’s finest big-screen hour remains Born On The Fourth Of July, the heartbreaking—and ultimately heartening—true story of Ronnie Kovic (Cruise), a kid from Massapequa, Long Island, who joins the Marines to fight in Vietnam and, after being paralyzed during combat, returns home to a country he barely recognizes. Writer-director Oliver Stone’s early passages of Kovic’s youth in small-town USA, replete with parades on Independence Day (Kovic’s birthday) and teenage experiences with friends and love interests, poignantly capture the mixture of religion, patriotism, and history—as well as Kovic’s personal desire to be something more than ordinary—that compels his protagonist to Southeast Asia. There, however, disillusionment comes via the accidental murders of both innocent Vietnamese and his own comrades. These horrors plague Kovic upon returning Stateside to suffer through paralysis rehabilitation at dingy veterans’ hospitals, and to cope with a culture now violently divided between wartime true-believers and counterculture protestors. Dramatizing his action with one gorgeously protracted widescreen composition and tracking shot after another, Stone evokes the era’s turbulent social climate through the lens of Kovic, whom Cruise embodies as a man trying to reconcile the ideals of his upbringing with the realities of his (and the nation’s) fractured circumstances. 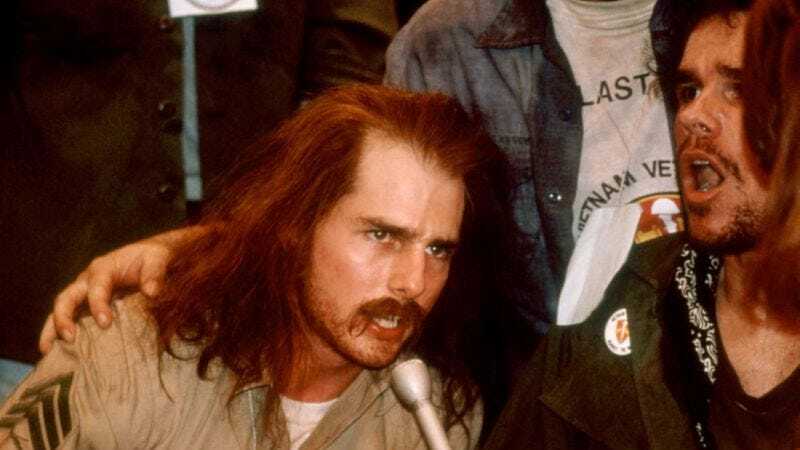 Especially in a centerpiece sequence in which his character drunkenly rails against the world and his mother for making him who he is, Cruise’s performance is all internalized grief and rage struggling to break free. As Born On The Fourth Of July follows Kovic from rallies to Mexico to presidential conventions, the actor conveys a moving sense of how difficult and painful it is to face down one’s own demons and, in the process, assess the very beliefs that had for so long defined you. Buoyed by across-the-board magnificent supporting turns from, among others, Kyra Sedgwick as Kovic’s childhood crush, Raymond J. Barry and Caroline Kava as his devoted parents, and Willem Dafoe as a similarly tortured vet hiding out south of the border, Stone’s film proves a haunting study of how forgiveness and healing are only achieved through truly facing, and accepting, oneself. Availability: Born On The Fourth Of July is available on DVD, which can be obtained from Netflix or your local video store/library, and to rent or purchase through the major digital services.